It’s time for another great prize to share with our readers. 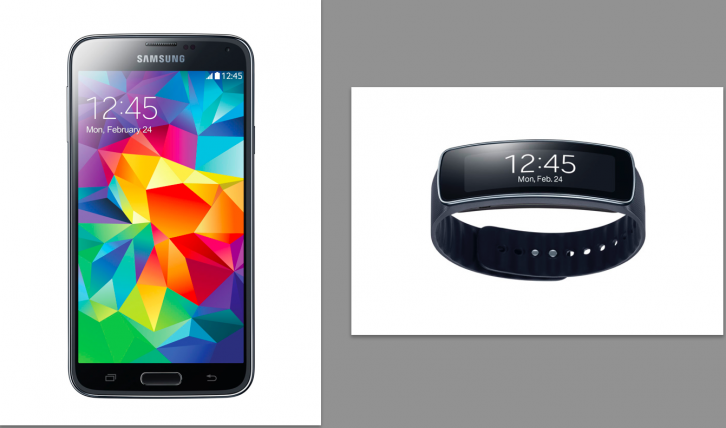 Enter for a chance to win an awesome Samsung prize package including a Samsung Galaxy S5 smartphone and a Samsung Gear Fit fitness tracker accessory. It’s a great way to get fit this summer! Check out details below on how to enter and good luck! 1. Like Best of Toronto on Facebook. 2. Fill out this quick entry form here. 3. That's it! Feel free to tell your friends to enter as well! 1. Like @BestofTorontoTV on Twitter. No cash value. Up to 2 entries per person. One entry via Facebook, one entry via Twitter. Open to all Canadian residents excluding Quebec of the age of majority. Contest closes on Wednesday, August 6th at 4:00pm ET. 16MP camera that features HDR, Selective Focus, and virtual Tour Shot, great for snapping photos on the next family vacation. Heart-Rate Monitor – personalized Fitness Manager- Samsung Gear Fit provides personalized real time information on the progress and results of your workouts by deploying the device’s optical heart rate sensor. IP67 Water and Dust Resistant- Always-on activity tracking of Samsung Gear Fit keeps track of your activities throughout the day and is prepared for any adventure with its dust and water resistant protection. Check out how the Samsung Gear Fit helps you to get fit in this video by fitness expert, Tracy Anderson.